Greg Hawkes (born October 22, 1952) is a musician best known as the keyboardist for the Rock band The Cars. Hawkes, a native of Fulton, Maryland, attended Atholton High School where he played in a band called Teeth. He then attended Berklee College of Music for two years, majoring in composition and flute. He left to play in various bands, including Martin Mull and his Fabulous Furniture, where he played flute, saxophones and clarinet. He also played in a band called Richard and The Rabbits, which included future Cars bandmates Ric Ocasek and Benjamin Orr. Greg Hawkes' most notable involvement is with The Cars. 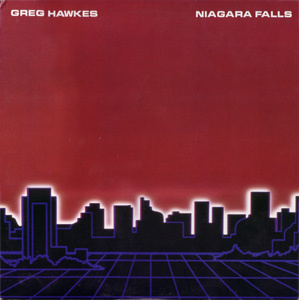 Hawkes pushed the limits of available technology and sequencing helping to forge the sound of the 1980s. While The Cars were known commercially as a Rock and New wave band, he had the biggest impact on the Synthpop and New wave sound of The Cars hits such as Drive. His signature sounds include the Prophet-5 "touch sync" sound heard on "Let's Go" and "Hello Again" as well as arpeggiated and syncopated synth lines such as on "Shake it Up" and "Heartbeat City". In 2010, Hawkes reunited with the surviving original members of The Cars to record their first album in 24 years, titled Move Like This, which was released May 10, 2011. Hawkes also played with Ric Ocasek as a solo artist, often playing both keyboards and bass guitar. He released a solo album, Niagara Falls, in 1983. He also plays guitar, percussion instruments, saxophone, clarinet and ukulele. He recently came out with a solo album on the ukulele, The Beatles Uke. Hawkes received a writing credit for "Service with a Smile" on Virginia-based progressive rock band Happy the Man's second LP Crafty Hands in 1978. Hawkes lives in Lincoln, Massachusetts, where he works as a session musician. He was a member of The New Cars, a quasi-reformation of The Cars that also featured original guitarist Elliot Easton. Filling in for other original Cars members were singer/guitarist Todd Rundgren, Utopia bassist/vocalist Kasim Sulton and former Tubes drummer Prairie Prince. Atom Ellis filled in at bass when Kasim was touring with Meat Loaf. The band toured through the 2006–2007 season. A live album with three new studio tracks, It's Alive!, was released in June 2006. Before The Cars reunited in 2010, Hawkes played with The Turtles (starring Flo and Eddie) and Todd Rundgren.